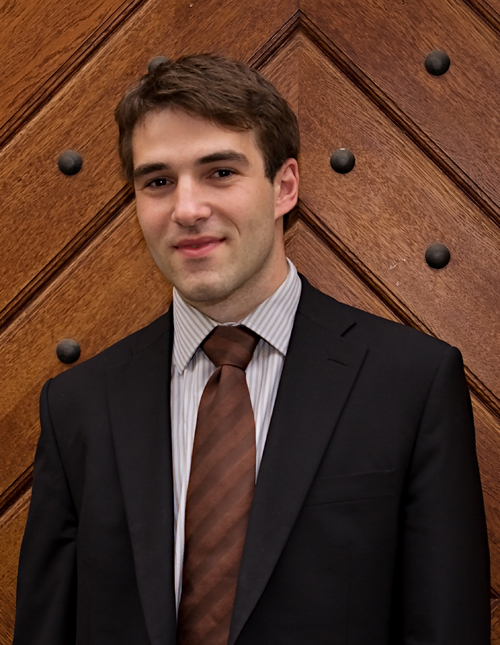 This time we would like to introduce our Project Coordinator, Vedran Devčić from Croatia. Vedran has spent 6 months at GRN between September and March. This has been his first work experience in Prague, and we hope not the last. I was born in 1990 in Varaždin, Croatia where I used to go to primary and secondary school. After finishing secondary school I moved to Zagreb to study sociology at the Center for Croatian studies, University of Zagreb where I also continued with my masters’ studies. I also participated in the Erasmus exchange program at the Corvinus University of Budapest. 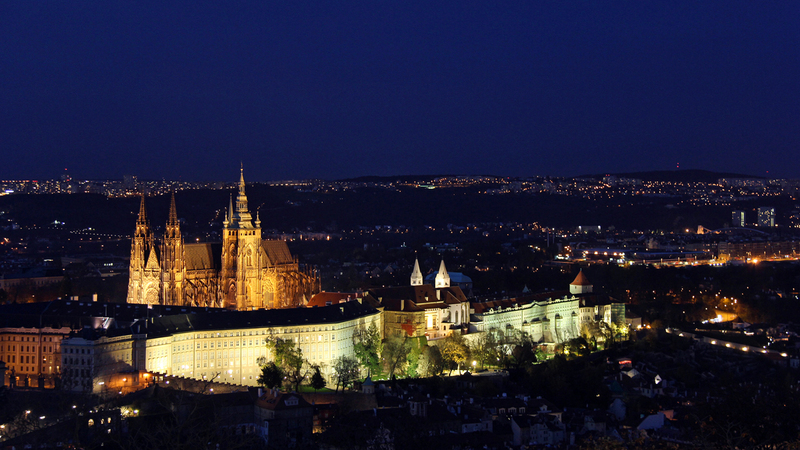 What are your plans after finishing your internship at GRN Czech Republic? I will go back to Croatia to write my thesis and finish my masters. After that I will look around to see what possibilities I have. In the beginning it was hard for me to realize what I have “left behind”, like my friends, memories, and the mentality; but with time I got used to Prague. I got used to its energy, its people and diversity, which has helped me to live here for the past 6 months. After my Erasmus experience I wanted to try something new. I knew that I wanted to have another international experience, but I also knew that I didn’t want to study for exams anymore. I decided to apply for the Erasmus Placement Program, and luckily, I received a positive response from GRN Czech Republic. So far, I have enjoyed Prague and I am looking forward to seeing more of it. 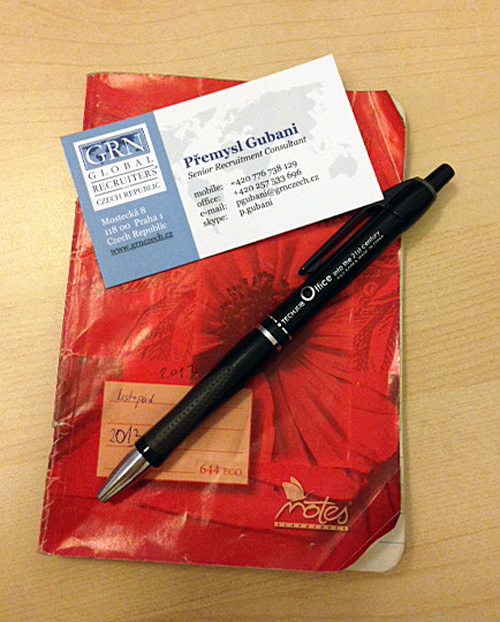 Do you think working at GRN Czech will help you in your professional career? Yes, for sure. This is a really beneficial experience for me, to live and work in an international environment. Skills, friends, connections and the knowledge which I have gained here can definitely help me in the future. I’m a 23-year old student from Finland, currently on my 3rd year of HAMK University of Applied Sciences. A year from now, I’m going to be a Bachelor of Business. Before going to university, I was studying clothing design and attending art school, so I really like handicrafts, design and art. Music has always been a big part of my life, I have played piano and a Finnish traditional instrument kantele for many years. 🙂 Thanks to my time in Prague, I have newly found love for traveling. I enjoy exploring new places and I’m always seeking new adventures to take on. My major is in Marketing, but this experience abroad has changed my views about what I’d like to do after I graduate. Maybe I’m a bit brainwashed because of reading all the inspirational quotes about doing what I love (:D), but I would like to do something more related to my somewhat artistic background. The best case scenario would be to combine business with it, and that is exactly what I’ll try to do. Because I wanted international experience, I decided to take advantage of the Erasmus Program and came here last year to study for one semester. I had dreamed of studying abroad for many years, but . Eventually turned out that I loved Prague so much that I didn’t even want to leave after the 3-month semester finished. 🙂 I started searching for internships and jobs, and then I met Sini, our former Social Media Coordinator in Budapest by a funny coincidence and she told me about the available position at GRN, so here I am! Not really, since I lived alone in Finland already for few years and I was used to being independent. Of course the transition from a town of 15 000 people where you know everyone, to Prague, where everyone is a stranger, was a bit overwhelming in the beginning, but I got used to it pretty quickly. I started enjoying the busier lifestyle of a bigger city and meeting people from all over the world has been extremely eye opening! Czech culture is more similar to Finnish culture than I imagined, so adapting here was not hard at all. Only problems were with the language, and how to deal with everything when the people don’t necessarily even speak English. I’m taking care of the social media channels of GRN and everything related to that, such as writing blog posts, reading interesting articles to share, searching for pictures and quotes and so on. I updated the social media strategy of GRN and to came up with new ideas for the future. I was also responsible of finding my successor, which included reviewing CVs, organizing interviews with the potential candidates and dealing with the whole recruitment process until the day that she would arrive. Definitely. International experience is always valuable and it’s something that I believe will differentiate me from other candidates when I’m searching for a job after graduation. Even if I’ll decide to apply for a completely different job, an internship abroad is a clear sign of internationality and advanced level of English to any employer. Both of them are more and more important in the future job market. 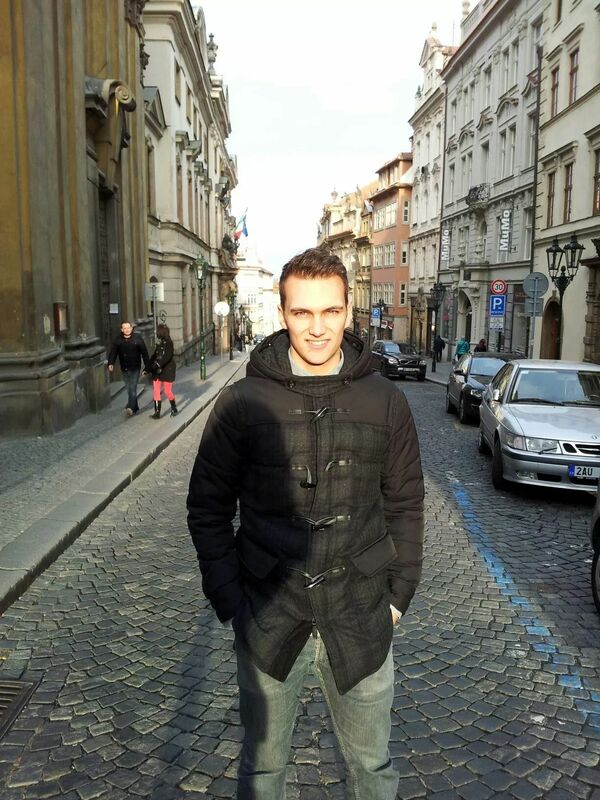 Today we’re introducing our newest member of the team: Senior Recruitment Consultant, Přemysl Gubani. He is a Czech, living in Prague. 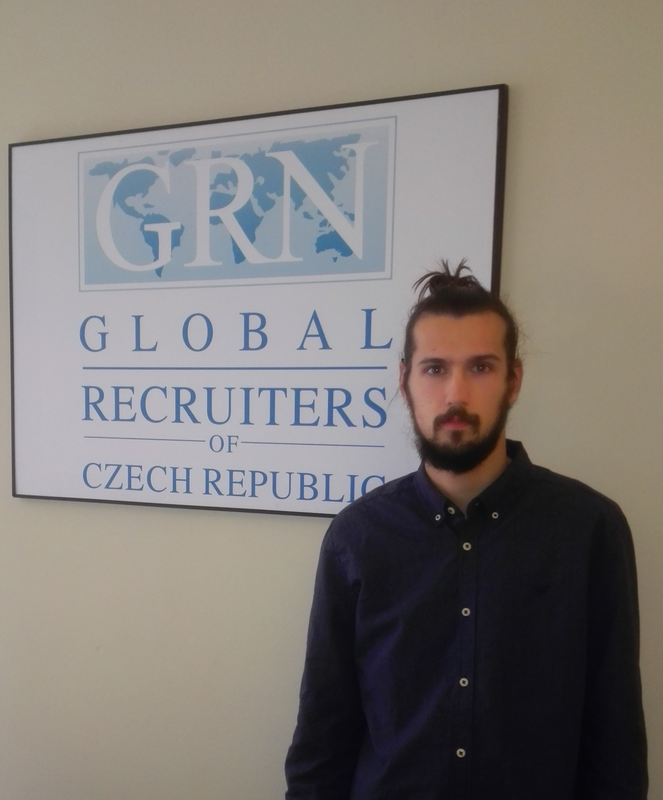 Přemysl started working for GRN Czech this fall. After reading his interview you’ll probably realize what a very “serious” person we’re dealing with! Hi Přemysl! First, could you tell us a little bit about yourself and your background. In my free time, I cooperate with the NGO Projekt Odyssea where I work with school classes helping them improve the climate of well-being (based on group dynamics, prevention of bullying programs, etc.). What brings you to GRN? Interesting enough, Michael called me and invited me for short chat. Well as it turned out that was good timing, as I had been at a crossroads in deciding what would be my next career step: Stay within agency recruitment or explore a whole new world behind “the mirror” – headhunting. As you can see, I made my choice. How do you like working with GRN as “Senior Recruitment Consultant”? Well that’s quite clever! What is the best part of your job? What’s the most challenging part? Oh yes, THE notebook. One more question: What do you think is the most important quality/characteristic of a candidate? It depends on the project, but in general, I’d say passion and a deep understanding of the field. But that deep understanding depends on the candidate’s ability to explain that to me. Thank you for the introduction, Přemysl! GRN Czech is happy to have you on the team! GRN Czech has been offering internship positions already for 10 years. The first intern joined our team in 2003, and since then interns from France, Spain, Canada, India, Germany, Russia, Croatia, Hungary, Poland, Slovakia, Slovenia, Albania, Finland and Czech Republic have complemented the team. All together we have had roughly 35 interns learning something new about the world of headhunting. 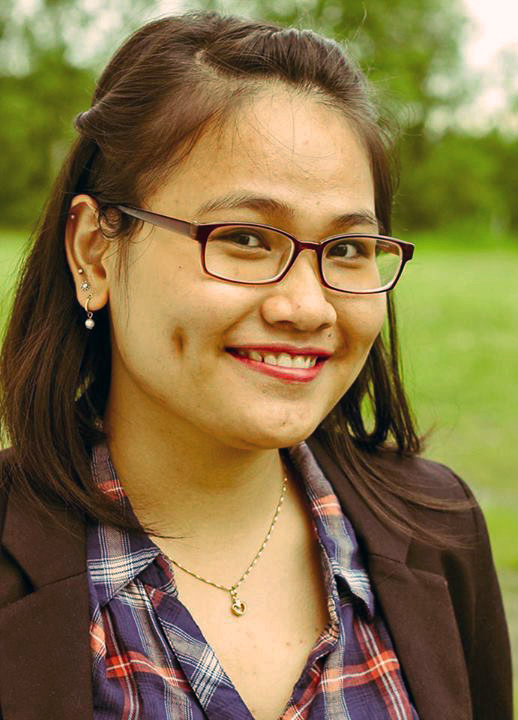 At the moment our interns are from – pretty exotic, but still very different countries – Vietnam and Finland. Skye, our sun loving, energetic project coordinator, introduces herself today. 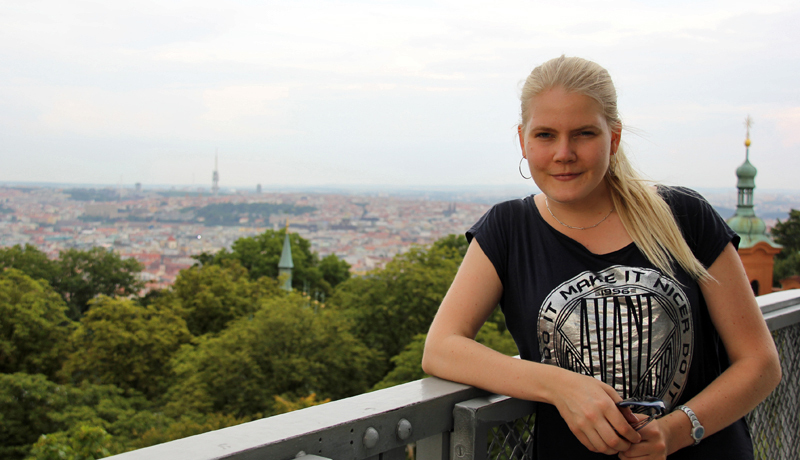 Sini, our current social media project coordinator from Finland, will tell about herself a little bit later. Skye, by the way, is the second Asian intern in GRN Czech. Hi Skye! Could you please tell us a little bit of yourself and your backround? Hi everybody! I’m Skye Pham, from Vietnam, 21 years old. I am currently doing my internship at GRN Czech Republic. I have been here for 3 months now. Before moving to Prague for my internship, I had great time being an ERASMUS exchange student at Ceske Budojevice – other city in Czech Republic. 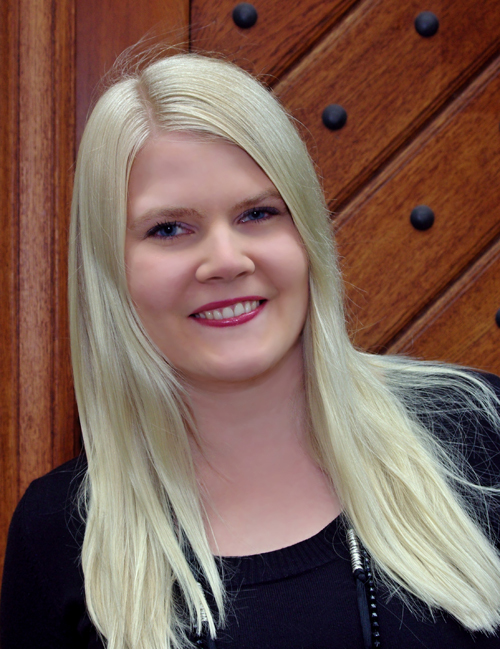 I am an undergraduate at Lahti University of Applied Sciences in Finland, majoring in International Business. I am a huge fan of travelling, that’s why I keep moving to new places. I cannot imagine myself being stuck in any place. Moreover, I believe that learning from people is the most interesting way to gain knowledge. That is the reason why I love making friends with people from many different backgrounds and cultures. Everyone has a story to tell. What actually brings you Prague and GRN? I am such a Prague lover. As I mentioned above, before applying for this internship at GRN, I was an ERASMUS student in Ceske Budejovice for 4 months. During that time I managed to visit Prague several times and got some new friends who currently are living in Prague. My friends showed me some interesting places in Prague, told me tons of stories about Czechoslovakia and communism in the past. This is always an interesting topic for me as I was born and growing up in a communist country. I started applying for some internships in Czech Republic in May and accidentally, I read the advertisement of internship at GRN on the internet. This internship was appealing to me because I had no experiences about HR and recruiting. It was something really new that I wanted to try. I’m so glad I made it. It‘s cool to see myself as a learner and traveller at the same time. Let’s take a peek to your professional side. What is your dream profession? I don‘t have any definition of my dream job – yet. I suppose that is something you will happily do for the rest of your life? I think I need to experience and come over more challenges to see what I like the most. It is always tough to know how to make the best and right decisions. Now, after working at GRN for a while, I have became interested in recruiting and headhunting. 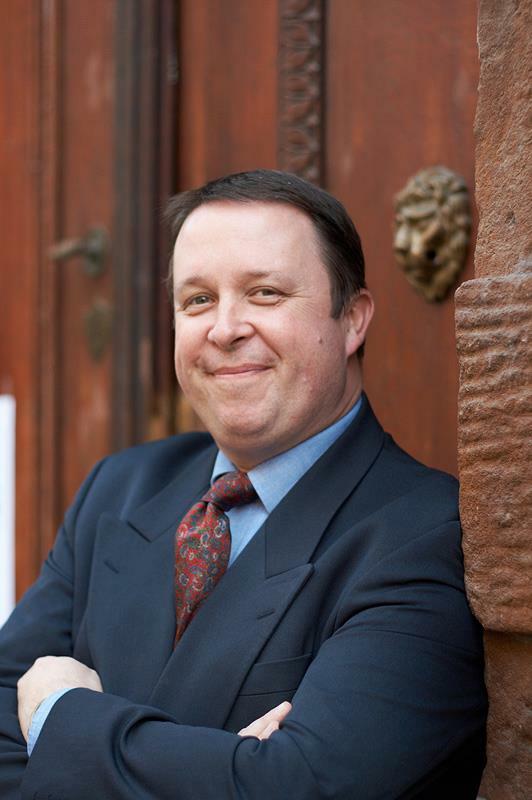 On my view, headhunting is a combination of sales, communication, human resources management. The field is also related to psychology. I think one option for me might be working as an recruitment consultant. I know it is not easy, but I see myself as a young energetic person – I have enough time and eagerness to do it. On the other hand, also the working environment needs to be taken into consideration. Basically, I like learning and doing something new, and I also like making friends with people. Feeling comfortable with people around me is a MUST in my working place. So, you are staying in GRN until Christmas. What have you learnt during your internship so far? I have been here at GRN for almost 3 months already. It sometimes surprises me when I look back at myself 3 months ago. I‘ve been working on several projects with my supervisors and after each project, I have gained new knowledge. Most of the new things are related to recruitment and human resource management. I am getting to know the process of recruiment, how consultants offer service to the clients, how to sort CVs and conduct an interview with potential candidates. From those lessons, I have learnt some better ways to communicate with people, learnt how improve my CV and I know how to deal with interviews. It‘s so interesting! Moreover, my main duty has been doing research by looking for clients and candidates in some specific fields. Thus, I have got a clearer image of those industries. I also made some marketing material for a new product in Czech Market and I learnt a lot about creating product presentations for different targets as well as managing product data files. Last “serious” question, related to your future. What are your plans after finishing your internship in GRN? Nevertheless, whatever I do, the most important part of my plan is to keep moving forward. I simply prefer to see myself getting better than getting older. 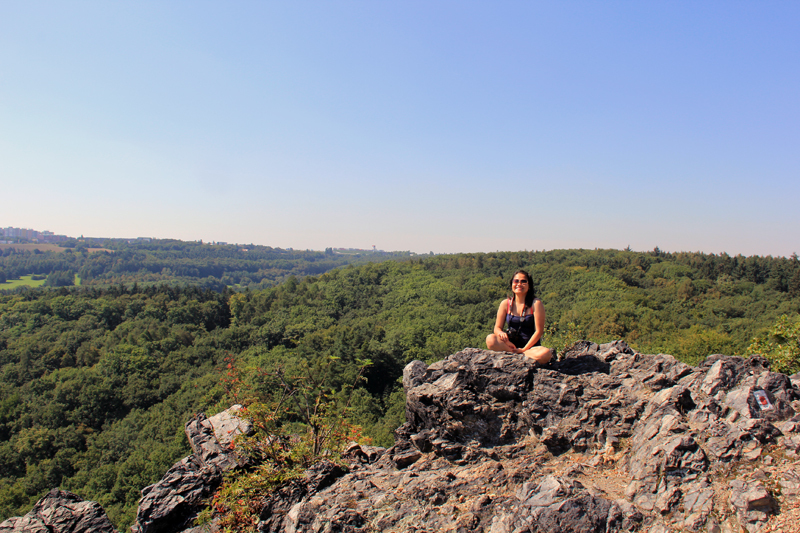 Skye enjoying the sunshine in natural reserve “Divorka Sarka” in Prague. Picture by Sini Suutari.